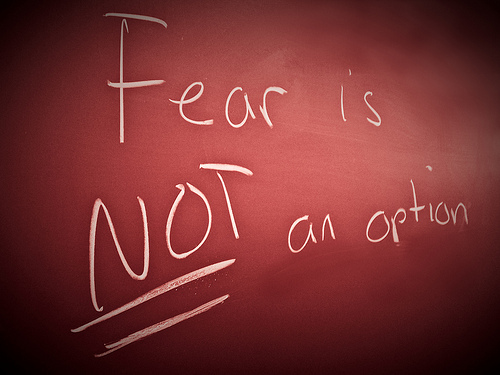 Fear is not an option, says the Lord. It is not from Me. Fear not! I Am with you, and the enemy is no match for Me. I have already given you the victory before you even engage the enemy. You do not have to let him push you around. Resist him as you submit yourself onto Me. Push him back! For I Am the Greater One in the midst of you, and I have fully equipped and empowered you to be a mighty conqueror. I have already defeated the foe by My finished work on the cross and shed blood for you. As you arm yourself in Me and face the enemy head on, I will always cause you to triumph in Me, says the Lord. Do not look at the size of the enemy forces that have risen up against you, says the Lord. Open your eyes and see My flaming ministering spirits that surround you. Know that you are not outnumbered, for more are with you than against you. You cannot count the innumerable heavenly host that I have sent to war with those Who trust in Me. So be bold and brave, for you cannot be defeated by the dark one, but with Me you will break in pieces his weapons, defeat all of his diabolical counsel, destroy his works and raise up My banner as you not only take a great spoil,but possess the land that he occupied and controlled, and stake a claim on it for My kingdom, says the Lord. Give unto me the words, Lord God, amen! DO NOT BE AFRAID MY SON FOR I AM WITH YOU. Amen! GLORY TO GOD THE MOST HIGH -THANK YOU LORD. All our enemies were defeated on the Cross…for our benefit. The battle belongs to the Lord and as I stand in the faith God gave me to use…it is a bottomless resource…so then. ;..whom shall I fear?